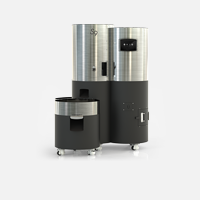 Enabling anyone to roast high quality coffee with finesse and ease, and at a fraction of current costs. S Series is an all-electric roaster. difficult and complex to install in-shop. 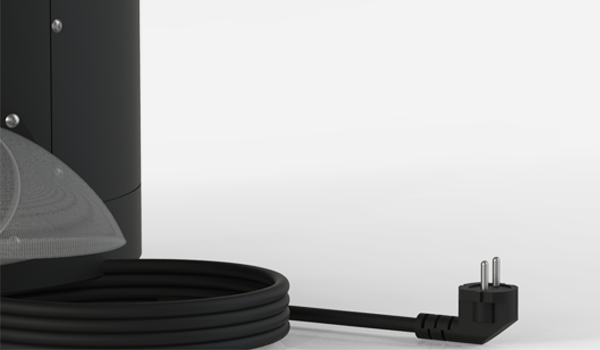 With S Series, simply plug and play. the key to consistent high quality roasting. to the actual gas input. explore a wider range of coffee flavors. that gas run devices can cause. 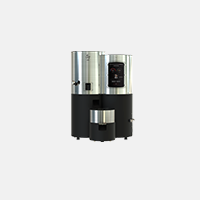 Our proprietary heating technology enables extensive exploration of coffee flavors. S Series applies both convection and radiation heat. 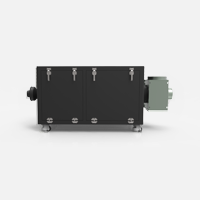 The efficiency of convection heat is combined with delicacy and penetrability of radiation heat to achieve the Triple Heat System of convection, radiation, and conduction. 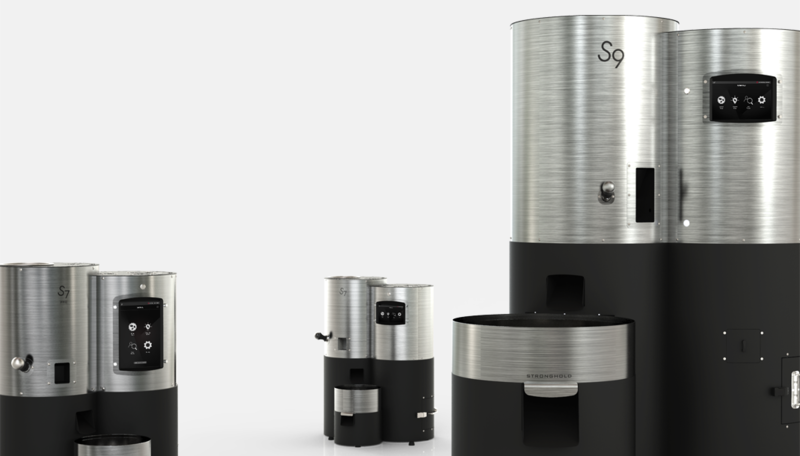 S Series is the world’s first roaster that adopts all three types of heat sources. Hot air circulates throughout the drum and penetrates every bean for uniform heat distribution. 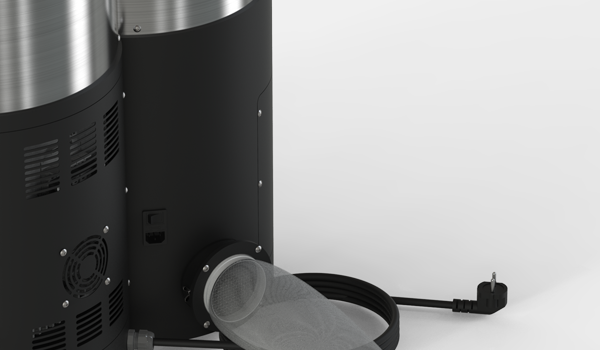 Stronghold uses Swiss made Leister heater and blower for maximum heat efficiency and powerful diffusion. Surface temperature of the tower drum is reconfigured to accurately match preset temperature, preventing burning of bean surface during consecutive roasting. Beans are spread out against the drum surface by the rotating stirring wings inside the drum. 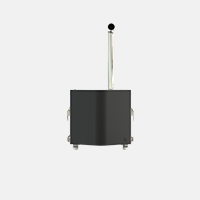 The vertical drum’s innovative design ensures uniform transfer of heat from the drum surface to the beans. Radiation heat emitted from the halogen lamps directly penetrates the beans and allows uniform heating even at the core. Hence, a perfectly roasted, never burned, and very flavorful coffee bean that is celebrated by not only professional roasters but also by our customers who are new to roasting. 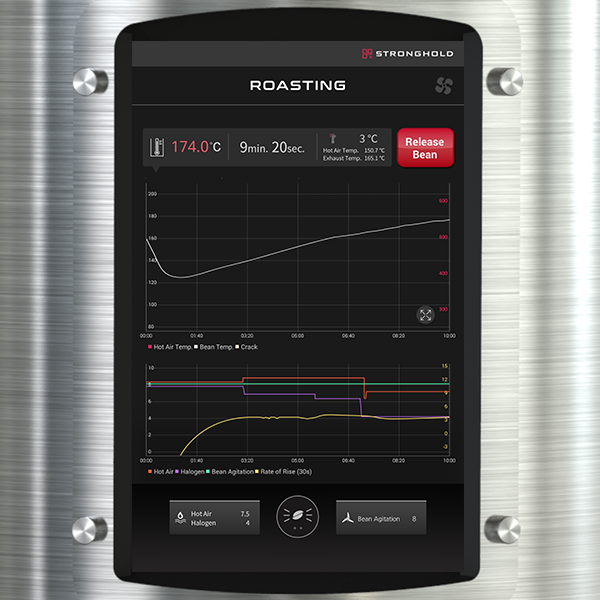 S Series can easily reproduce your favorite roast profile with its proprietary replication feature. 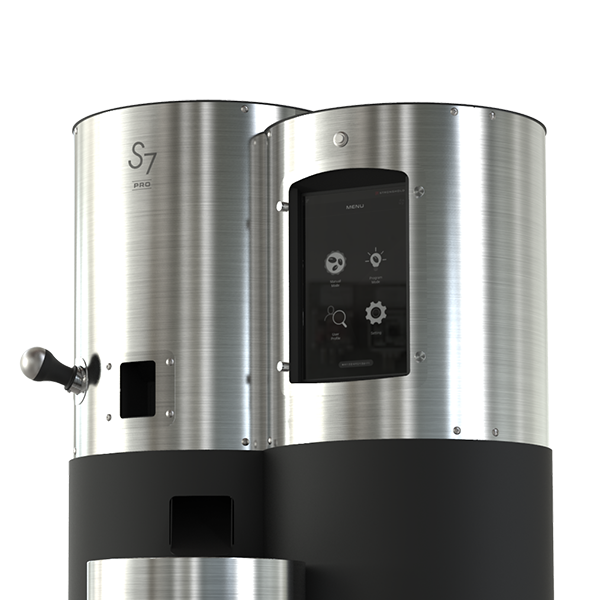 Let the S Series deal with roast consistency so that you can spend your valuable time with your customers and on shop operations. Customers do not become loyal to a coffee shop that “sometimes” has great coffee. Simply put, consistency is key to building a strong brand. What if you could save all your roast profiles and precisely replicate them whenever, wherever, and by whoever with just a touch of a button? Well, NOW YOU CAN, with the S Series. 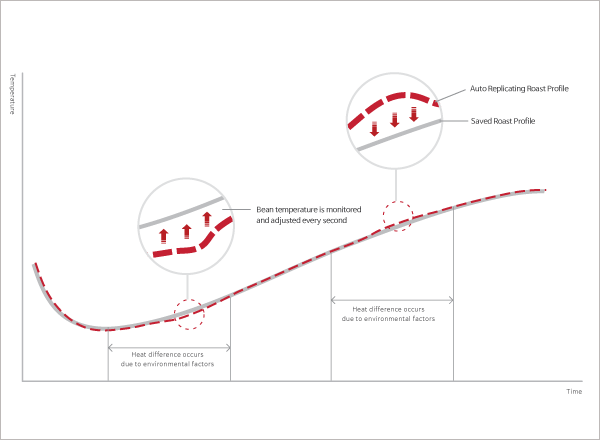 Using PID principle, our proprietary heat control algorithm makes micro level heat adjustments to immediately react to any divergence from the saved roast profile, replicating your favorite roast with consistency beyond human capabilities. Go spend more time with your customers or your loved ones, work on new menus, finish your paperwork, do what you gotta do that makes you happy. Let the S Series take care of the roasting part of your life. "For an idea or a product to become innovative, it has to first break with tradition." 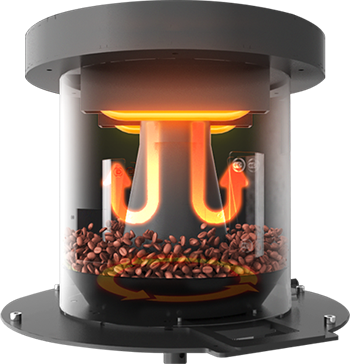 The “vertical” Tower Drum is designed to harness all the advantages of using an electric heat source and it is the heart of the S Series that integrates the most advanced roasting technologies. Conventional electric roasters before the S Series faced the challenge of reducing heat loss on horizontally placed drum roasters. The Tower Drum technology minimizes heat loss by rotating stirring wings inside the vertical drum rather than rotating the drum itself. 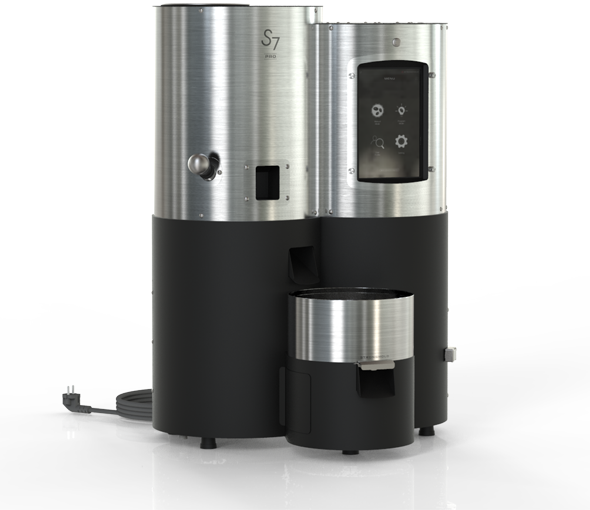 By measuring not only the temperature inside the drum but also the drum itself, the S Series ensures accurate and consistent roasting environment from input to release. Spawned from the research of many dedicated engineers, chemists, and roasting professionals, the embedded Roastware is the brain of the S Series. You can select the bean’s origin, processing method, and desired roast level. Roastware will factor in all the information and automatically run optimized roast for you, allowing any level of roaster to produce high quality roast from the get-go. Pre-heat setting allows the roaster to set the temperature inside the drum and of the drum itself to ensure an ever-consistent roasting environment. Manual mode represents the S Series’ core value proposition. 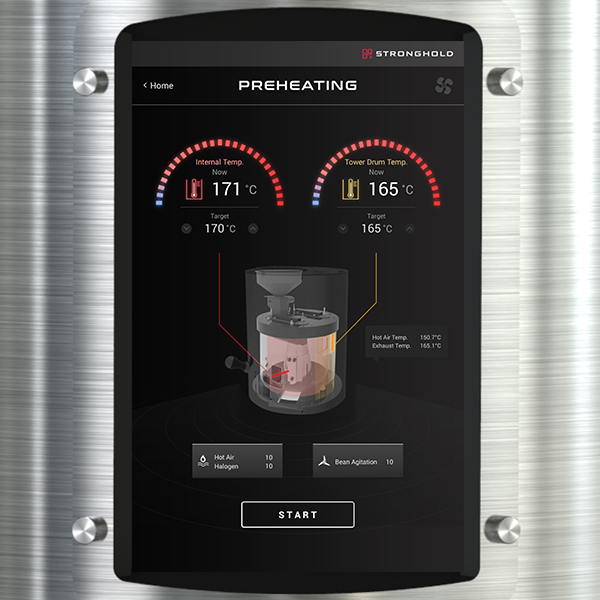 Immediate and precise control over convection and radiation heat allows you to define your roast like never before. 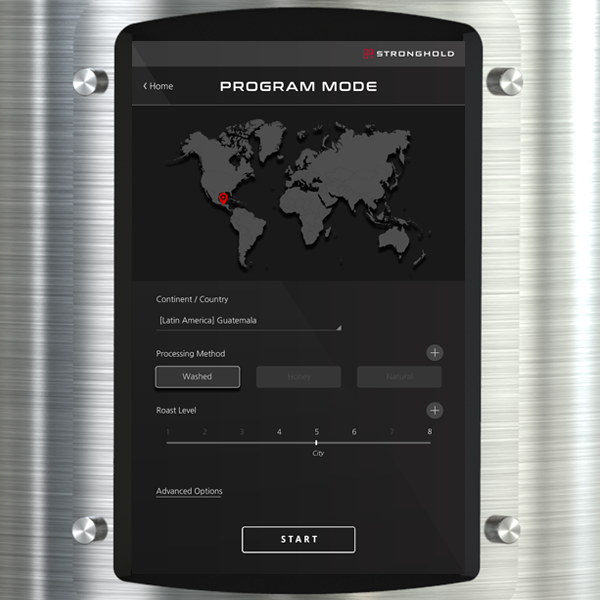 Save your favorite profile and replicate with unrivaled accuracy and consistency. Auto-replication on the User Profile Mode is the most distinguishing feature of the S Series, which can save you a lot of time and cost and increase productivity by multi-folds.